As CEO and founder, Christian Lane, has been the real driving force behind the rapidly-expanding innovative UK-based company, Smarter. Being quite the serial entrepreneur at an early age, Christian - a former Dragon’s Den winner, has had several successful business ventures in the past, with a vision of the digital world paving the way for his industry-leading technology start-up. Quickly finding his place as one of the key innovators in the kitchen, Christian identified that there was real potential for disruption in the market using the very best in IoT (Internet of Things) technology. 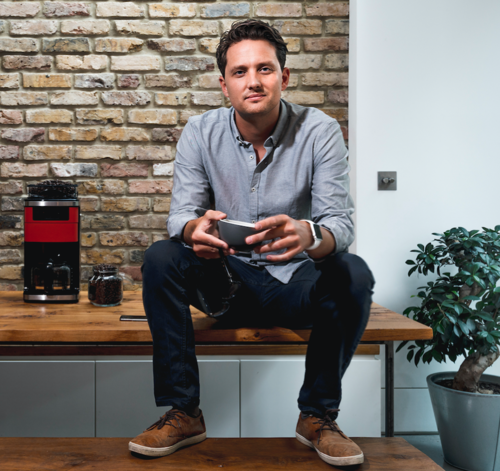 Smarter has garnered much international fame through several of its successful connected product launches over the years, including the world’s first Wi-Fi controlled kettle, the iKettle, Smarter Coffee maker and FridgeCam, the world's first wireless fridge camera. Christian’s aim is to ensure that technology is a seamless part of people’s everyday lives – that save time, money, energy and waste whilst also being easy to use. The 30-year-old is a recognised leader and has previously won the Great Britain Young Entrepreneur of the Year, Tech Track Ones To Watch, London Design Awards, CES Smart Home Honouree and National Technology Award.